AFTER a profitable Monday-Wednesday we turn our attention to the Europa League. It can be a hard competition for punters but with 24 matches being played there are a couple of decent betting opportunities. The Gunners can be delighted with their start to the season having endured a difficult opening two defeats to Man City and Chelsea but since then they have been absolutely flying. They've won 7 games on the spin and seem to be balancing their league and European commitments really well. They must have feared the worst after those two defeats, especially against their London rivals, but they have knuckled down and are really tough to beat. The most pleasing thing is they are scoring goals (at least 2 or more in each of their last 7 games). They make the long trip to Azerbaijan to play a Qarabag side who domestically are superior but are well out of their depth in Europe. They were eliminated in the UCL qualifiers with minimal fuss by BATE and Arsenal will be the best side by some distance they will face this season. Arsenal will be minus a couple of key players for this trip but have still travelled with a strong squad and should make light work of this tie. They are scoring plenty of goals and could bring in over 2.5 on their own. It's always tough in the group stages so other than the NAP, I’ll just be doing some small stake accumulators on first-half goals and over 1.5 goals from a selection of the 5.55pm and 8pm KOs. There's also the Sky Bet specials (50-1 and 16- for the early games and 40-1 and 4-1 for the later games for a goal in the 1st half and over 1.5 match goals) definitely worth some loose change. 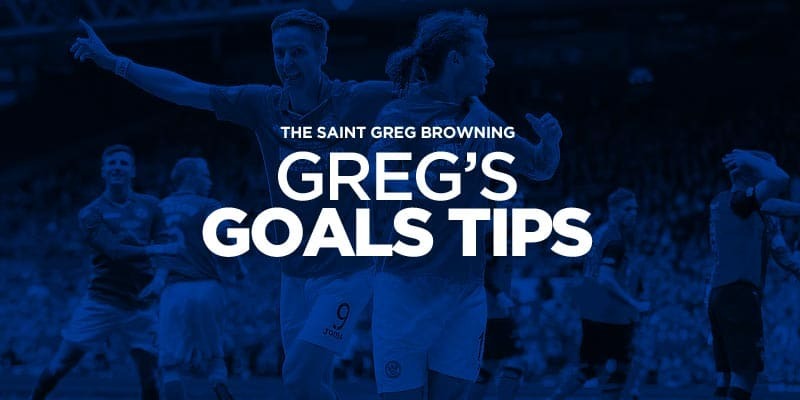 Hi Greg @gregbrowning…which 8pm games did you fancy for >1.5 goals accumulator?